Charlie Vasiliades, a.k.a. 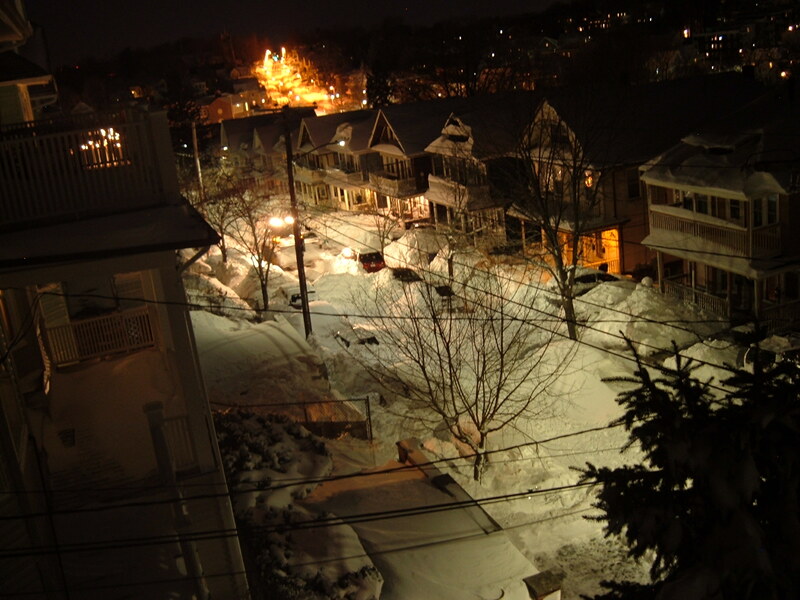 the mayor of Oak Square, took the above photos looking toward Oak Square from his porch. 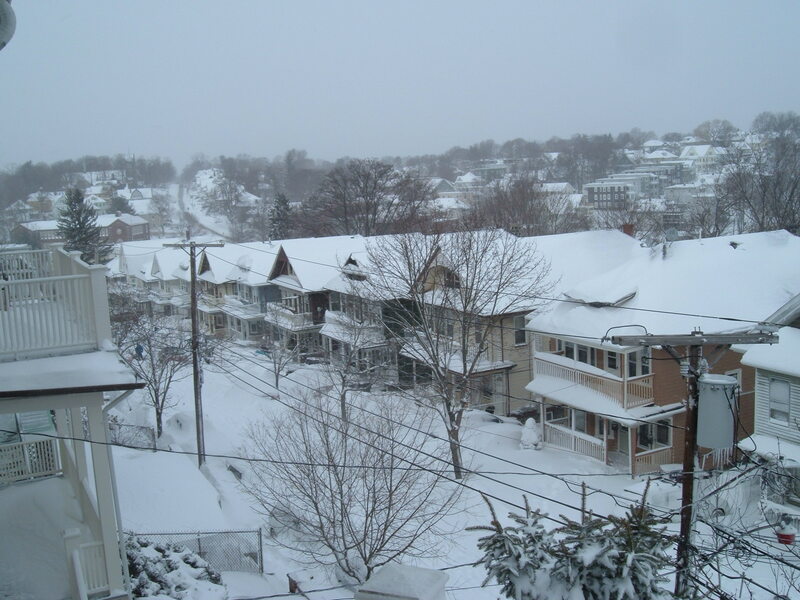 Matt Rocheleau at Boston.com has a story about sledding down Brainerd Road, which brought back memories of doing the same down Bigelow Street. Of course, we didn’t wait for a driving ban. It was all in the timing, and occasionally avoiding a car. Adam at Universal Hub has a series of before and after shots, including these taken locally, here and here, and a really great night view.